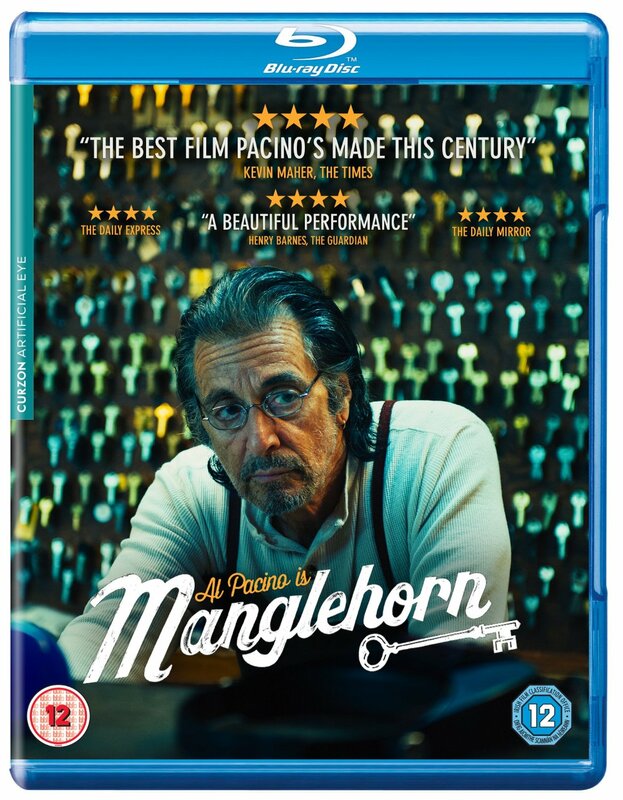 Left heartbroken by the woman he loved and lost many years ago, Manglehorn (Al Pacino), an eccentric small-town locksmith, tries to start his life over again with the help of a new friend. There is a line midway through David Gordon Green’s latest, where Manglehorn confesses that his life is “nothing but sadness and frustration”. Conveniently, these are the two main emotions one experiences when watching the film. Like a half remembered dream, Manglehorn drifts in and out of visual coherence leaving more of an impression than lasting viewing experience. Monologues and anecdotes give way to ethereal close ups; randomness appears to be the order of the day. A.J Manglehorn’s life is reminiscent of that feeling you get when everything seems to be going to pot; those fleeting moments in life where everything seems to have conspired against you. Light bulbs refuse to work, alarm clocks torment his sleep, things break, and bees have taken residence under his mailbox. Even the bloody cat isn’t well! These are, of course, all cute metaphors for A.J’s life and the changes that need to be made. But they help build a sense that this man really does have it bad. This isn’t to say that Manglehorn is solely a film about a grumpy old man singing the ‘poor me’s’. There are fleeting moments of levity, a striking and surreal tracking shot of a car crash, engrossing moments of tall tales; all of which congeal into a truly uplifting final scene, which reveals the strength of his character. But the one thing director David Gordon Green lacks is a willingness to let the story be what it wants to be – a generic tale of lonely hearts coming together. Green saunters around and sprinkles delirium over his film as if he were trying to disguise the normality of his project as a fever dream. Granted, this is Green’s style. But previous films like Pineapple Express show that the Green does have the ability to chill out a little, and curb his aesthetic style when necessary. Al Pacino is a strange yet inspired choice as A.J. He delivers the role of a frustrated and lonely man who isn’t anti-social, but rather trapped inside his own loneliness. This isn’t “OK! HOO-HA!”-Pacino. This is possibly the most mellow we’ve ever seen the man. In fact, there are times when Pacino’s performance is so introverted, you aren’t even sure if he knew the cameras were rolling. There are a few moments when the opposite is true and Pacino lays it on a bit thick (turning almost senile in one scene at a brothel), but it’s nice to see that a decade of awful movies hasn’t dented his talents. Harmony Korine is so unbelievably irritating and OTT as Gary, you cannot help but think there is a private joke somewhere. And Holly Hunter does a lovely job with the thinly developed Dawn. One particularly brutal scene, where we see A.J break Dawn’s heart over dinner, is a brilliant little piece of acting. Manglehorn is a slow and trying watch. This is a film that is quite happy to keep the viewer at arms length, whilst also expecting us to embrace the characters and care about their plights. This is at once a difficult task, but also a great allegory for the main character. Just a very short Interview, where the interviewer says the word “like”, like a thousand times! And, like, a like, Trailer; which you can watch on Youtube! What a shame. Imagine, if you will, what it would be like to watch As Good As It Gets directed by Werner Herzog. If you can, then you are in the rough ballpark of what Manglehorn feels like. You’d have no idea what the author intent was, however, cos the lack of features betray very little. A grumpy little package, indeed.